Use the links below to skip to the specific thing that you're trying to save on. ...or keep scrolling to read them all! When it comes to saving money on lift tickets, Liftopia is a great place to start. They work with some of the best ski resorts around the world to give people the best deals possible. It only takes a few minutes to log onto the website and see what kind of bargains you can find. They also offer ways to save on meal vouchers and rentals. Get onto the e-mail lists of all the resorts that you plan on visiting well in-advance. Keep an eye on your inbox for flash sales or deals. Many companies offer short-lived and amazing deals exclusively to people on their newsletter. Gas stations like Shell and Exxon Mobil have a program where you can get yourself a BOGO lift ticket deal for filling up 10 gallons! It's called Ski Free Deals. The only downside is that the location is pretty limited. As of 2018, it's only in Colorado. It might not be the first place you think of when it comes to lift tickets, but a quick search reveals that eBay is full of people selling passes they can no longer use. These sellers generally aren't going to make a profit, but are just looking to prevent their purchase from being a complete loss. You can also find some coupons on there as well. Disclaimer: Some resorts have policies that restrict their tickets or coupons from being traded or sold, so be sure to double check that first. We don't want you to break any rules! Weekday tickets are usually priced a bit cheaper than weekend ones. If you can get away from school or work, you'll be able to save a few bucks. Local shops near your resort may have lower prices on lift tickets than the resort itself. Before you go on your trip, call some of the ski shops in the local area and see how their lift tickets are priced. This might seem obvious, but it's really easy to get overzealous when you're getting ski tickets. Are you really going to be out there the entire day, or are you going to be tired after a few hours? This mistake is more common than you'd think and something I've done several times. Some ski resorts have a Snow Guarantee Policy. This gives you a certain window to gauge whether the conditions will meet your satisfaction. If it's a bad day on the slopes, you might be able to get a voucher to come back when it's nicer. If you're an avid skier or snowboarder, The Mountain Collective might be just what you're looking for. They offer package deals that let you save on passes throughout several different countries and continents. If you have a mountain that's not too far from you, getting season lift tickets can be well worth it. When you break the cost down per day versus a one day pass, you'll end up paying fractions less. If you're not going to be skiing for an entire season, but are on an extended vacation, ask about multi-day passes rather than singles. Before you head out on your trip, check out the local online forums or subreddits. The people that live in the area usually have the scoop on how to get the cheapest lift tickets locally. If you're broke and live close to the resort, it's worth checking out what kind of work and volunteer programs they have. This one is great for people who have more time than money. Bringing the little ones along? Some resorts will run specials where kids can ski completely free. Although renting is certainly not cost-friendly in the long run, you don't want to buy a bunch if stuff your first time out, especially skis or boards. See how you like the sport first. Your resort isn't the only place you can rent ski or snowboard equipment. There tends to be smaller shops directly outside the resort, or even some in your home town. See what kind of deals these places are offering and be sure to Google "their name + coupon." Unless you want to test something out before buying it, there's no reason to rent top of the line equipment. Shops and resorts will generally have different tiers of gear that you can rent, so be sure to ask questions and not just pick the first thing they offer you. If you know you're going to be skiing or boarding at least once a year, then it's worth investing in your own gear. As other tips indicate, don't go top of the line or brand new if you can avoid it. If you've made the decision to buy all your own gear, consider the sales tax you'll be paying. Because ski and board gear can be pretty high ticket, consider getting it in an area where there's less sales tax. Even a 3% or 4% difference can be huge. As with most goods, the demand plays a big role on how it's priced. With a little planning and browsing, you can score some nice deals when skiing and boarding are out of season. Many retailers are trying to clear out the old models to get ready for the new stuff. Unless you're a professional, you don't need the latest and greatest. Sites like Woot.com often have unbeatable deals, and ski gear is no exception. A quick Google search for "Woot Ski Gear" shows you what's being offered and what you may have missed. Sign up so you don't miss anything else! Use the little search bar on Craigslist to search your local area. Simply type in "ski" or "snowboard" and see what comes up. If you can't find much, try using the filter function to expand your radius. I would not recommend doing this for boots, though. It's better to have those custom fitted. Thrift stores, especially those located by ski mountains, can be a gold mine for things like gloves, jackets, skis, and more. If you want to save the most money possible on gear, don't overlook this option. Just like Craigslist, there's a ton of trading apps out there. LetGo is a really popular one. If someone is willing to trade, you won't even have to pay! Have a friend or family member that might have a really warm ski jacket or snow pants? Why not try their stuff out before committing to getting your own? If you've got a random assortment of gear, make sure you try it on fully layered before heading out to the mountain. If you get there and something doesn't fit right, you'll lose time and might get stuck paying a premium at the resort. Forgetting certain things can be another costly mistake, causing you to spend money on things you already have. Pack in advance, and use a packing checklist. Although it might cost a bit more upfront, make sure you take all the steps to get the right boots and get them fitted. Seriously, go to a professional. 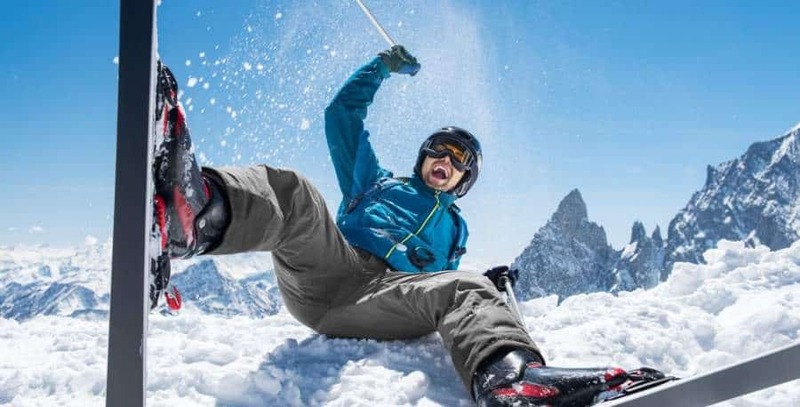 Having ill-fitting boots is extremely common and will cause you time off the slopes (from pain and discomfort) and more money in the long run. There's no doubt that lessons are a fantastic way to learn or improve your skills. However, to make the most of a lesson, you should be doing some supplemental learning before and after your lesson. Ski School on YouTube is a great resource. While you shouldn't use tutorials in place of an in-person lesson, it can reduce the amount of total lessons you'll need before gaining confidence to go on your own. January is National Learn to Ski & Snowboard month. Check the event's website for deals if you're going around that time. 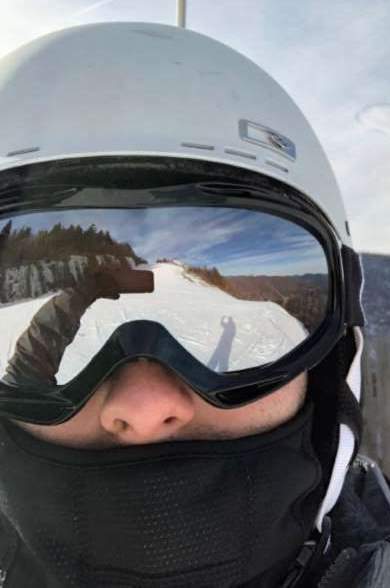 If you're going skiing in Europe, CheckYeti lets you compare lessons with certified instructors. You can find lessons for a variety of age groups and skill levels for some pretty good rates. While private lessons are certainly a great way to get personalized attention, group lessons are undoubtedly going to be cheaper per person. For true beginners, it's the cheapest option to gain some level of competence. If you don't want to learn with a bunch of people you don't know, ask the instructor if they're willing to expand a private lesson to include some of your friends and family. You'll be able to split the cost and get most of the benefit of personalized instruction. If improving your technique is a top priority, consider booking lessons in bulk. The upfront cost will be larger, but you'll save on a per lessons basis. Most people will say that you should book really early or really late to secure the best deals on accommodations, but it really comes down to timing. Use a service like Kayak to set price alerts on where you want to stay. Do this far enough in advance, and you'll get a sense of how often prices change and what the best deal truly is. You don't have to be a master salesman to score a good deal on a place to stay. If it's the last minute and you haven't booked your lodging yet, call a bunch of places to see if they have rooms available. At this point, they're probably just trying to fill them up. Don't be afraid to ask a hotel if they're willing to give you a lower price. You can even say that another hotel in the area offered you something better. If the supply of rooms in an area is higher than the demand, you can easily negotiate yourself into some savings. If you're just getting started with skiing or boarding, you don't need to go to Aspen or the Swiss Alps to have a great time. Check out some local and smaller mountains with a limited number of trails. Airbnb is a fantastic way to save money on any sort of lodging. Rather than a big chain resort or hotel, you can rent out other people's homes. This means you get access to a lot more price options. VRBO is basically the same thing. If you're feeling a bit weird about staying in someone else's home, there's generally a bunch of vetted user reviews for a given property. You don't have to be the one testing the waters. The way to save the most money per person for lodging is to bring as many people as you know and split the cost. If you use either of the sharing options mentioned above, it's not a huge jump in price to go from a 2 bedroom to a 4 bedroom. But then when you split the cost between everyone, it ends up being a lot cheaper per person. If the cost of resort lodging is higher than an Airbnb, it's worth asking about package deals. In some cases, you may be able to buy your lodging, lift tickets, rental equipment, and food all at once. Costs are going to vary, but it's worth doing a comparison and see if it ends up working out cheaper that way. Ski-in Ski-out lodging is absolutely amazing, but it can get expensive. See what's available on the outskirts of the mountains and then see if there are shuttles or bus services to get there. It can be a bit of an inconvenient trek, but it's better than not going at all. Booking a place with a washer and dryer may not seem like a big deal, but it could save you in baggage fees by allowing you to pack a bit lighter. If you're flying to your ski destination, you've probably already got enough to pack. Additionally, you won't have to deal with wet and smelly clothing. Hostels aren't known for being the most glamorous places to stay, but they're certainly more affordable. If you don't mind sharing bathrooms or sleeping arrangements, then a hostel might be the perfect option for you. It's a great way to turn your dream of a Euro ski trip into a reality. Every seasoned traveler knows how to leverage airline miles, but if this is your first time on a plane, it's time to start learning. Airline miles are basically just "points" that accumulate when you fly. Make sure you sign up for your airlines reward program so you get credited for the flight you take. And obviously, if you've got airline miles, consider using them! Flying isn't the only way to accumulate airline miles. Opening up an airline credit card has the potential to bring you in free miles if you follow the guidelines, which are typically spending a certain amount of money within a given time period after opening the card. You've got to buy things like groceries anyway, so why not do it in a way that's going to help fund your next ski trip? Browser cookies pretty much track everything you're doing online. Most of the time, they serve you relevant advertising as you browse the web, which is why you see a bunch of ads of stuff you've been looking at on other websites. When it comes to booking flights (or any kind of travel activity), many sites use some form of "dynamic pricing" meaning that a computer will factor in a bunch of things into the final cost. It's hard to say exactly what it will consider, but it can include your browsing history, device type, and any other info it has on you. Going to your browser's settings and clearing your cookies will clear the data that travel sites are trying to use. Additionally, opening an incognito window in Google Chrome won't use any tracking cookies at all. You won't always find a different price, but it's worth checking both ways. The incognito is probably the better option because, in theory, your normal browser cookies can even change the price. Because most people flying are doing so for business, Tuesdays, Wednesdays, and Saturdays are usually the cheapest days to fly. Not only is January a great time to get some deals on lift tickets, it's also a great time to fly. Most people don't take vacations right after the holidays (because they're broke), so the supply for flights can outweigh the demand. Flying into the lesser-known airports can often times be cheaper than the big names. If you can find one within a good distance to your destination, then it's definitely worth comparing the price. If you have to book with a layover, consider splitting up your flights. Rather than buying one ticket that goes from A to B to C, look at prices for A to B then B to C. Sometimes this can save you a considerable amount. Be sure to do your research on this one, though. For inexperienced travelers, it can be easy to mess up. Also be aware that if you miss a connecting flight because your first flight is late, the airline probably won't take responsibility. If you're traveling with skis, a snowboard, or other heavy equipment, it's important to understand the airline's policy on these items. How does the size and weight impact what you're going to pay in baggage fees? Compare your different airline options and factor the cost into your final choice. Just because you have a bag for your skis, doesn't mean you can't fit other stuff around them. Fill your ski bag and boot bag as much as you can with other stuff, assuming it doesn't put you over the weight or measurement limit. The last thing you want to do is "guestimate" how big your luggage is or how much it weighs. Get it wrong, and your trip might end up costing more than you'd expect. Make sure everything is weighed and measured before leaving the house. Most airlines have a 24-hour cancellation policy. This means that you usually have 24 hours to change your mind after your flight has been booked, assuming the booking was done 7 days before the flight departs. Understand your airline's policy in case you find a cheaper flight within that 24 hour window. Sometimes a price drop doesn't mean that you should cancel the flight entirely. Some airlines have a Price Match Policy. This means that if the cost for your flight changes, you can potentially call them and get refunded for the difference. Airfarewatchdog.com has an alert system that will let you know when prices on the flights you want drop. Their automated system can do a much better job than logging on to check by yourself. For further comparison, try other sites like SkyScanner.com. AutoSlash.com is an easy way to help you find better deals on car rentals. You can get a quick quote and even track your rates and re-book if the price drops later. If they ask you how many drivers, be sure to ask them if it's an extra fee to add multiple drivers. Some companies will waive people like spouses, but it's best to always ask. When it comes to car renting, names like Thrifty and Dollar Rental tend to be less expensive than the bigger brands. When you rent a car, companies will often ask you if you want to purchase the fuel at a preset rate or fill it up before you bring it back. Sometimes car rental company rates will be cheaper than the local gas stations. Have a quick look on GasBuddy.com and see how it compares. Many car insurance policies already cover you when you rent a car. Some credit card benefits also have rent-a-car insurance as part of the member benefits. Research what you have before you get the rental so you don't get up-sold at the last minute. Eating out meal after meal can burn a hole in your pocket quicker than you realize. Do it three times a day with a family, and you'll probably end up spending thousands just on food. If you're going to stay in an Airbnb, you'll more than likely have access to a kitchen, a fridge, and a freezer. To take full advantage, plan your meals and stock up with everything you'll need from Costco or another bulk-grocer. To maximize savings, eat cheap dried nutritious foods like beans and rice. You can fuel your whole ski trip for pennies on the dollar. People tend to make bad decisions when they're hungry. When you're out on the slopes, you're more than likely going to work up an appetite. Be prepared for the hunger before it happens and pack small items like sandwiches or whole-food bars like a Larabar. If you're not prepared, you'll easily give into temptation and buy an overpriced snack or meal from the lodge. The same goes for drinks. You can store some hydrating beverages in your locker or bring a backpack. Water bottles at the lodge can cost a pretty penny, so it pays to come prepared. Just because you're in a tourist area, doesn't mean you have to eat at the touristy-spots. These places are likely taking advantage of people who aren't mindful of their vacation spending habits. Instead, check Groupon for the best local deals or ask locals where they like to dine out. The cost of buying individual drinks from the lodge bar can add up pretty quickly. You're better off going to a local liquor store and making some mixed drinks or enjoying a few brews after the day is over. Skiing under the influence is never a good idea anyway. If you're looking to get social during your trip, then check out the Happy Hour deals. They usually occur during "Apres Ski" or after skiing. It's usually a more affordable time to get your drink on. If you know that you don't want to be bothered with planning, packing, and cooking, then look into going all-inclusive with your resort. It's going to cost a lot, but most likely a lot less than doing everything a la carte. Rewards credit cards give you cash back for spending money. Magic, right? Make sure to use one on all of your ski trip expenses and for everything else in your life. Since we've already touched on airline credit cards, it should be mentioned that you can mix and match rewards. Seasoned travelers often have separate cards for flying, groceries, etc. Bottom line: Don't shop without getting some form of cash back. At the time of writing this, the US dollar has a favorable exchange rate to Canadian dollars and an unfavorable exchange rate to the Euro. If you're going out of the country, consider what the trip is going to cost you with the exchange rate. By going somewhere with a favorable rate, you can save a lot of cash. Many resorts, shops, and restaurants will have discounts for students, seniors, children, and members of the military. Feel free to inquire about these discounts for your all your trip expenses. If you're a member of any large group (like the AARP or AAA) it's worth checking to see if they have any sort of ski or snowboard discounts. People often times sign up for these things and forget about them, but the deals can be surprisingly lucrative. A new t-shirt or hoodie can be tempting, but do you really need it? How many times have you cleaned out your closet only to donate a shirt you got on vacation for $40. There's nothing wrong with wanting to remember the trip, but doing so by buying things isn't going to help your wallet. SkiCoupons.com has a lot of great deals, and they even do giveaways. Check it out! When the season begins winding down, so do the prices. You'll typically find cheaper prices for everything across the board in March and April. If you like smaller crowds and don't mind less-powdery conditions, then it's worth considering. Did these tips help save you some money? Do you have any additional advice that is worth sharing? Please let us know below in the comments section. We love hearing from our readers and learning new things.